A lot of homeowners depend on heat pumps to keep their homes at a comfortable temperature throughout the year. It is difficult to beat the convenience it brings by cooling your home during summer and warming it during fall and winter. As with all heating units, proper care and maintenance is required to ensure efficient operation of your heat pump. Additionally, a heat pump that’s well taken care of consumes less energy than one which is severely neglected. With regular upkeep, most major heat pump problems are also prevented. Listed below are some of the most common issues that homeowners encounter with their heat pumps. In case your heat pump stops generating heat, don’t panic. The problem might just have something to do with the thermostat and making a simple adjustment could fix the problem. So, before anything else, be sure to check the thermostat. It should be switched on and set to heat. Another probable cause of sudden loss of heat is if your heat pump was replaced recently. Perhaps the new thermostat is the wrong type or wired incorrectly. If there is nothing wrong with your thermostat, the problem could be insufficient power that may be caused by a tripped circuit breaker. Don’t forget to check your circuit breaker box and reset it if necessary. If you have ruled out all these things and your heat pump is still not working, you need to call a professional HVAC contractor. In case your heat pump is running but isn’t providing enough warmth, a filthy air filter other components could be the reason. A dirty filter, fans, and coils can significantly reduce airflow through your unit, decrease system performance, and damage the unit’s compressor. Check your filter every month especially during summer and winter when usage is higher. Experts recommend that you replace your filter every three months. 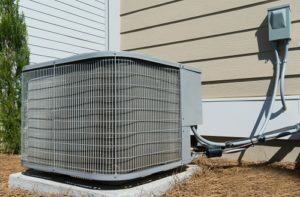 It is also important that you clean the other components of your heat pump to make sure that your unit functions effectively throughout the year. A clogged air filter or a defective blower could be the reasons why your heat pump is overheating, which causes it to cycle too often. Changing or cleaning your air filter may fix the problem. Incorrect cycling may also be caused by your thermostat. You may have to adjust it or replace the batteries. In case your heat pump is making rattling sounds, it may be caused by a misplaced register or a loose hardware. The cover panels must be screwed on tight. Other noises might be coming from loose parts in the air handler or ductwork. If you hear squealing or grinding sounds, you have to turn off your heat pump right away. Call a professional Florence HVAC contractor because your heat pump might have more serious or complicated issues like worn out bearings. Call Florence HVAC Experts now if you are having problems with your heat pump.